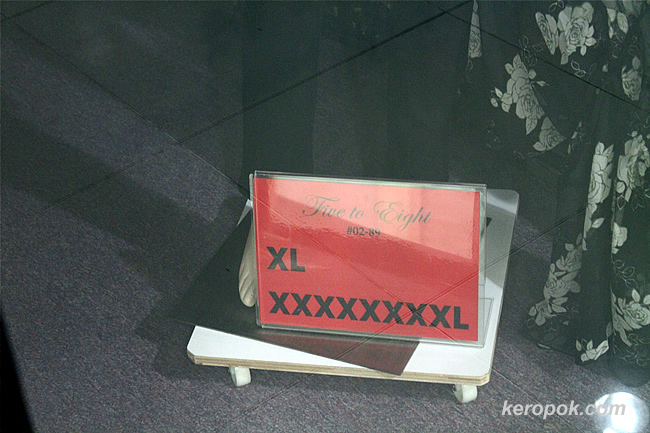 'Boring' Singapore City Photo: XL or XXXXXXXXL size for you? I am curious. 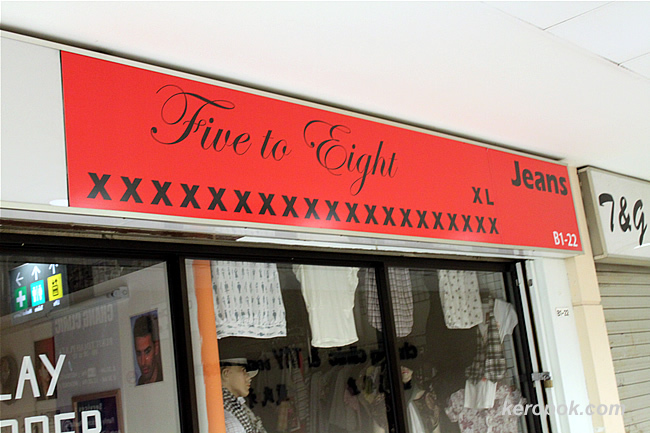 On the 1st photo the shop unit is showing as B1-22 but the 2nd photo the shop unit is showing as 02-89. This shop has 2 units? Yes, we discovered that there are a few shops in this shopping mall that's like that. One unit, which is the smaller unit is situated where there is more human traffic, the other unit which is bigger is usually more secluded some where else.